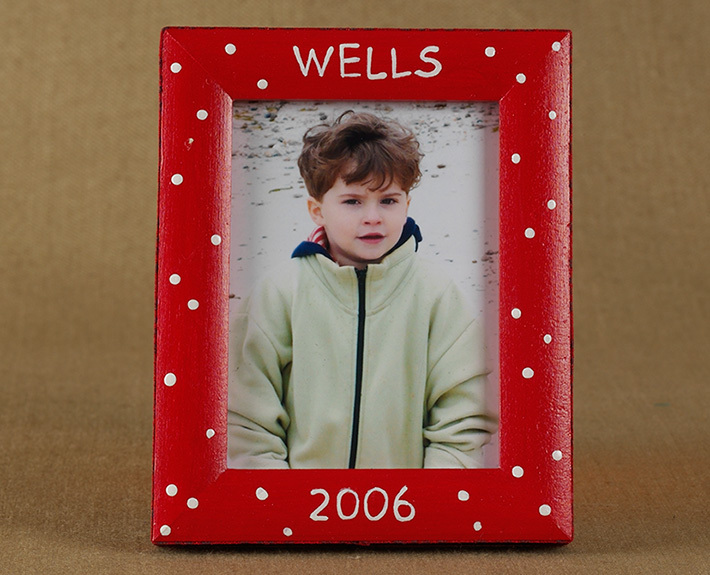 The Christmas holiday dot mini frame is a classic and simple design to display your favorite photos. The classic and simple polka dot reminds us of the snow falling in winter months. These mini frames are fantastic stocking stuffers, teachers gifts etc. 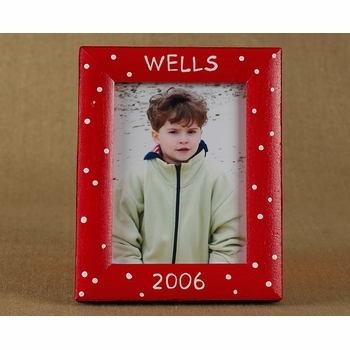 The holiday dot mini frame is available as shown and in larger frame sizes 5x7, 4x6 and 3x3 and as an ornament. Personalize it to make it extra special. All items are custom made to order and ship directly from the designer.